Leuk die link met de vroegere inzet van een Alfa 155. Verder nog verhaaltje over ontwikkeling van Romeo Ferraris. IMSA Michelin Pilot Challenge @ Daytona. 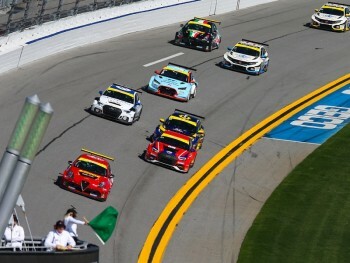 The second season of the TCR class in the IMSA Challenge began with an exciting four-hour race at Daytona that provided eight different leaders and plenty of overtaking and clashing. Eventually the Honda Civic cars finished 1-2. 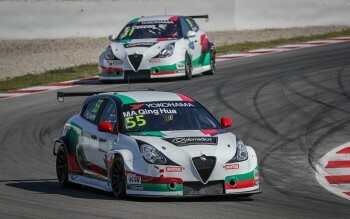 Alex Popow was impressive in his red Alfa Romeo Giulietta, as he led for the first 30 minutes of the race. The last hour began with the top-four drivers covered by the same second: Lamb, Pombo, Vance and Popow. After a full-course-yellow, Lamb pitted for fuel, Pombo took the lead and Popow overtook Vance for second. The fight for the win was between the Honda cars of Lamb and O’Gorman and Popow’s Alfa. With 35 minutes left the Alfa went back into the first place, but then retired in a cloud of smoke. The second round of the IMSA Michelin Challenge will take place at Sebring on 15 March. Ma Qing Hua has been the latest driver to join the WTCR field for the 2019 season. 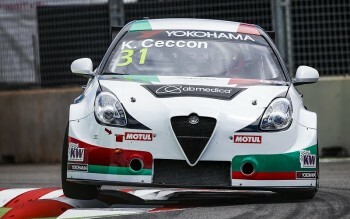 Ma will join Team Mulsanne as Kevin Ceccon’s teammate. The 31-year-old Chinese is one of the most experienced Touring Car drivers in Asia; after clinching the 2011 CTCC title and winning two WTCC races between 2014 and 2015, he had the opportunity to get used to TCR cars in the two latest seasons. 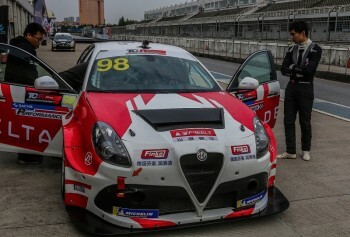 He competed in the 2018 WTCR Asian events in a Honda Civic, tested the Romeo Ferraris-built Alfa Romeo Giulietta at Vallelunga and eventually won the TCR China finale at Guangdong in a Giulietta run by Freely Racing. “I really appreciate the fact that Team Mulsanne and Romeo Ferraris chose the Chinese New Year to announce our partnership. I already drove the Giulietta and the feeling was good from the beginning. I think it has a big potential and the team is working hard to improve it in order to be competitive from the start of the season. This will be the second time for me in an Italian team after 2005, so it will be nice to relive the typically warm atmosphere during the year,” said Ma. 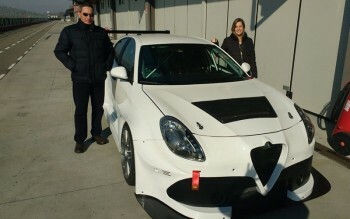 Garry Rogers Motorsport is the latest high-profile team to commit to TCR Australia, securing two Alfa Romeo Giulietta Veloce cars that are currently under construction at Romeo Ferraris’ race shop in Milan. 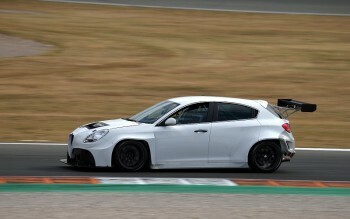 Giulietta Veloce, differs in a number of parts from the model that has been raced so far. The whole framework has been lightened, the front bumper-splitter group and rear wing’s mounting have been redesigned to reduce drag, the weight distribution has been optimized. 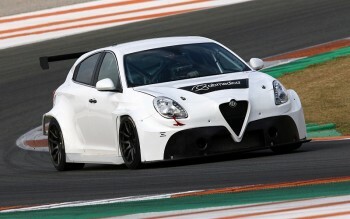 So far, 14 Giulietta TCR have been sold to customer teams in Europe, USA, Australia and Asia. 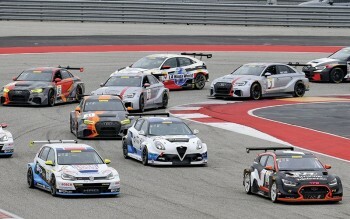 TC America and returns with the opening event at Austin’s Circuit of the Americas. Twelve entries make up the TCR with five brands represented: Alfa Romeo, Audi, Honda, Hyundai, and Volkswagen. Longtime sportscar Ferrari outfit Risi Competizione joins the series with James Walker who will be driving an Alfa Romeo Giulietta, as the team kicks-off their touring car programme. 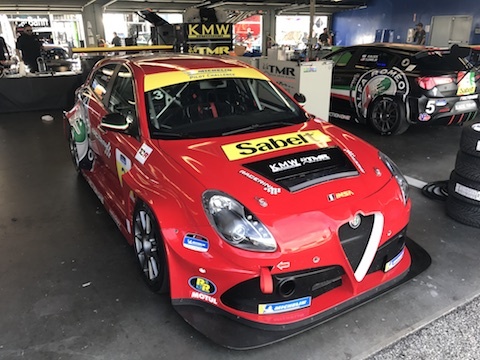 James Walker's Risi Competizione Alfa Romeo Giulietta was the quickest car in the final part of the sunday race, advancing to fourth and setting the fastest lap. Walker was chasing Hurczyn, but eventually finished fourth by half-a-second. Tom Coronel koos echter voor de (Seat) Cupra TCR in WTCR van Cometoyou en in de ETCR Europa serie voor de Honda Civic TCR van Boutsen. 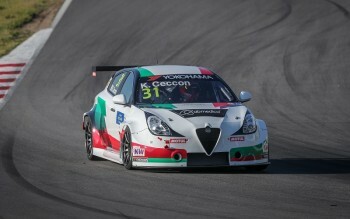 Kevin Ceccon 31 en Ma Qing Hua 55 rijden WTCR voor Team Mulsanne van Romeo Ferraris in de Giulietta Veloce TCR. Met nieuwe tricolore striping. In de eerste 3 races op het nauwe Marrakech semi straatcircuit werden beide eenmaal 10e. Inhalen was vrijwel niet te doen. Het WTCR veld ligt erg dicht bij elkaar met 4x Audi, 4x VW Golf, 4x Honda, 4x Hyundai, 4x Lyck&Co, 4x Cupra en 2x Giulietta.